Intellectual property includes works, processes, symbols and designs that were created or are owned by a company. This can include logos and slogans, and written documents or artistic works. To enforce the ownership and right to use intellectual property, the business owner must register it at the United States Patent and Trademark Office or the United States Copyright Office, depending on the type of property a business wants to protect. The intellectual property rights in Inida, pertaining to trademarks and patents are controlled by the Controller General of Patents Designs and Trademarks, Department of Industrial Policy and Promotion, Ministry of Commerce and Industry. Copyrights are handled by the Copyright Office, Copyright Societies, Government of India. Application must be made to the concerned authorities , based on the type of intellectual property right to be registered, in the prescribed form. Copyright is a form of legal right and an Intellectual Property protection, given by the law to creators of literary, dramatic, musical and artistic works and producers of cinematograph films and sound recordings. The Copyright Act, 1957 governs the registration of Copyright in India. Copyright Registration provides a safeguard to insure that the creativity is rewarded and intellectual work is protected. A patent is a right granted to an individual or enterprise by the government that excludes others from making, using, selling or importing the patented product or process without prior approval. In exchange for this right, the applicant must fully disclose the minutiae of the invention. A patent for a product or process that proves successful can give its owner a competitive advantage over rivals. A trademark is any unique expression related to a product or service that distinguishes it from others. This expression could be a word, slogan, photograph, logo, graphic, colour combination, sound or even smell; however, most businesses are only looking for a brand name registration or logo registration. Owners of trademarks have exclusive rights to their use under the categories they are registered in. Getting a Trademark with our streamlined processes is a simple 3-Step Process. To start off the trademark filing, we do a comprehensive Trade mark search to check for pre-existing trademark/wordmarks with the same name. 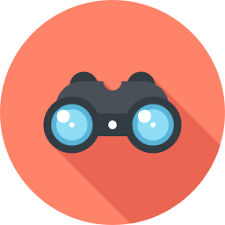 A free trademark search is vital in order to not be involved in trademark violation troubles. After a free trademark public search, if there is no pre-existing wordmark with the same name, we draft a Trademark application with details provided by you. The application thus formed will be forwarded to the trademark registry for verification. Once the Ipindia public search and the drafting your application is finished, we forward it to the Trademark Registry for approval. The Registry provides an application number for status tracking, and if there are no objections, your trademark is registered in 18-20 months. 1. What are Intellectual Property Rights (IPR)? A IPR is a general term covering patents, copyright, trademark, industrial designs, geographical indications, layout design of integrated circuits, undisclosed information (trade secrets) and new plant varieties. Copyright is a form of legal right and an Intellectual Property protection, given by the law to creators of literary, dramatic, musical and artistic works and producers of cinematograph films and sound recordings. 3. How is Copyright different than Patent or a Trademark? Copyrights protect the expression of ideas. Copyright will not protect the process through which a particular work was created or the use of information within it (instructions, etc.). 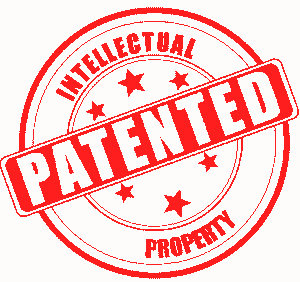 On the other hand Patents protect inventions such as new processes, machines, or chemicals. The central idea is that patents protect ideas, not just expressions of them. Further, Copyright and Trademark both offer intellectual property protection, they protect different types of assets. 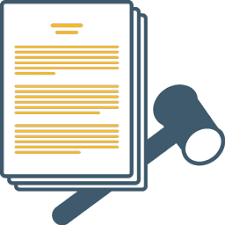 Copyright is geared toward literary and artistic works, such as books and videos. A trademark protects items that help define a company brand, such as its logo. 4. What does copyright cover? Record-any disc, tape, perforated roll or other device. 5. What is the term of a copyright? If published within the life time of the author of a literary work, the term is for the life time of the author plus 60 years. For cinematography films, records, photographs, posthumous publications, anonymous publication, works of government and international agencies, the term is 60 years from the beginning of the calendar year following the year in which the work was published. For broadcasting, the term is 25 years from the beginning of the calendar year following the year, in which the broadcast was made. A patent gives its owner the right to exclude others from making, using, selling, and importing an invention for a limited period of time, usually twenty years. The patent rights are granted in exchange for a detailed public disclosure of the invention. 7. Does Indian Patent give protection worldwide? 8. What can be Patented? 9. Who can apply for a Patent? 10. What are the criteria of patentability? It should not fall within the provisions of section 3 and 4 of the Patents Act 1970. 11. What is a Provisional Specification? 12. What is the Term of Patent? Generally, Trademark refers to a “brand” or “logo”. Trademark gives a company/business separate identity. Trademarks indicate the origin as well as the quality of the goods. Some popular trademarks include Coca Cola, HP, Canon, Adidas, etc. 14. What can be used as Trademark? Trademarks may be a word or a combination of words, letters and numerals. They may also consist of drawings, symbols, 3D signs such as shape and packaging of goods, or colours used as a distinguishing feature. 16. Can trademarks be renewed? Yes. A trademark is initially registered for a period of 10 years, calculated from the date of filing of the application. It can be renewed every 10 years by paying the requisite fees. 17. What is the meaning of Service in the Trademark Act 1999? Service means service of any description which is made available to potential users and includes the provision of services in connection with business of any industrial or commercial matters such as banking, communication, education, financing, insurance, chit funds, real estate, transport, storage, material treatment, processing, supply of electrical or other energy, boarding, lodging, entertainment, amusement, construction, repair, conveying of news or information and advertising. 18. What is the term of a registered trademark? The initial registration of a trademark shall be for a period of ten years but may be renewed from time to time for an unlimited period by payment of the renewal fees. 19. What is the process of registration of a trademark? OPPOSITION: After publishing of applications in the Trademark Journal, third party(ies) can oppose the registration within 4 months in a prescribed format.